Is this not the most unique and tasteful outdoor piece of furniture you have ever seen?! The Barclay Lounge Chair and Ottoman by Modloft scream function and style. Its breathable regatta cord construction allows elements to pass through and its powder coated steel base is weather resistant for long lasting outdoor use. 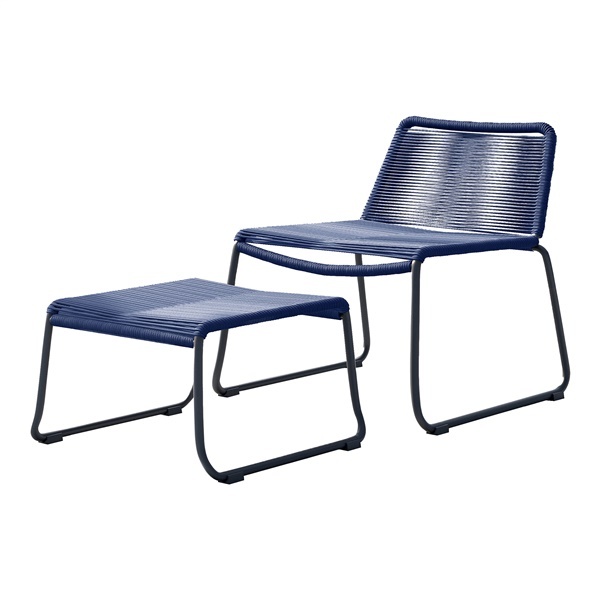 Available in your choice of color, add a modern and functional seating option to your outdoor oasis.